The Gilbert's Potoroo was thought to be extinct for over 100 years before it was rediscovered at Two Peoples Bay near Albany in 1994. The species is now listed as Critically Endangered with only 100 individuals known alive. 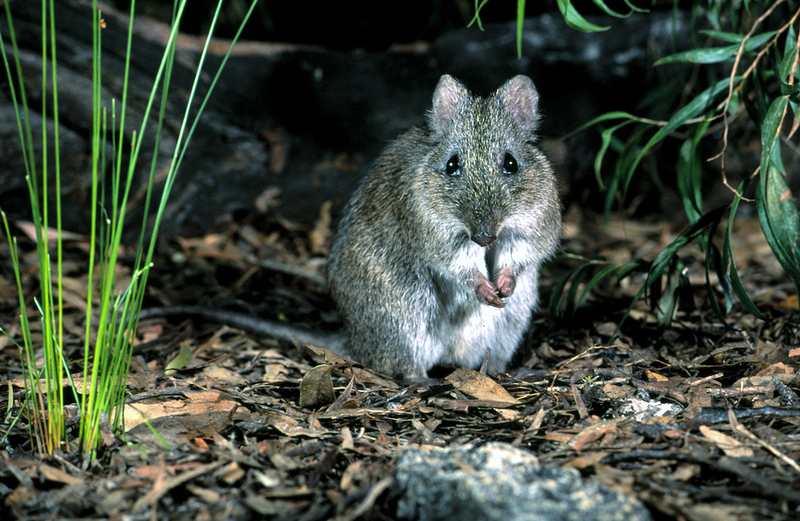 One of our Senior Zoologists, Tali Moyle, along with the other members of the Gilbert’s Potoroo team, will be abseiling off a 40 storey Building (QV1) on the 13th April 2019 to help raise money for this species. Money will go the Gilbert’s Potoroo Action Group (GPAG) which will help towards research and recovery programs and promotion and awareness of this threatened species. 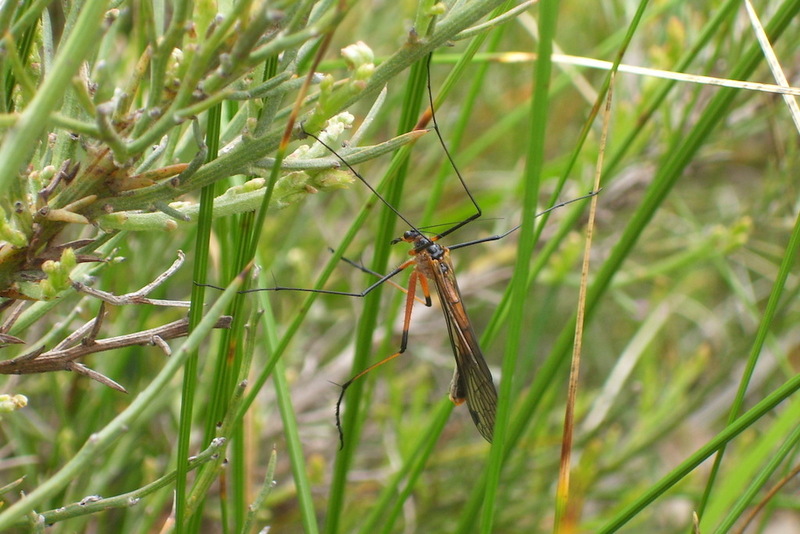 During a recent survey of a wetland south of Perth, we regularly encountered a large orange fly-looking insect hanging from the end of twigs. Initially we thought it might have been a fly or a wasp having a rest on a twig but after observing their gentle take-off, we realised we were not looking at either a wasp or a fly but in fact another flying insect, the Common Western Hangingfly. Harpobittacus similis is a bright orange, large flying insect native to the south west of Western Australia. It belongs to a family of Mecoptera (Scorpionflies and Hangingflies), which is an Order of insects found throughout the world. Scorpionflies or Hangingflies are predatory insects generally named for their distinctive abdomens which make them appear similar to the eponymous arachnid. However, they are not true flies (Diptera) but are often mistaken as flies due to their long wings and mouth parts. The Bittacidae Family are called hangingflies due to their habit of hanging from vegetation to catch prey. Their elongated legs with modified predatory claws allow them to grasp at small insects flying past. They then insert their proboscis into the prey and feed on its body fluids. The Common Western Scorpionfly is well-known for its mating behaviour of males providing nuptial gifts to females prior to copulation. They are easily observed due to their large size and bright colouration. Males commonly hang from vegetation proffering gifts of insect prey they captured while sending out pheromonal signals to nearby females. Research has shown that females choose mates according to the size of the insect prey offered and copulation duration is related to the size of the gift (Bornemissza 1966, Gwynne 1984). So at least, in this world of the Common Western Hangingfly, size most certainly does matter. Bornemissza, G.ZF. (1966). Observation on the hunting and mating behaviours of two species of scorpionflies (Bittacidae: Mecoptera). Australian Journal of Zoology, 14:371-382. Gwynne, D.T. (1984). Nuptial feeding behaviour and female choice of mates in Harpobittacus similis (Mecoptera: Bittacidae). Journal of the Australian Entomological Society, 23: 271-276. As of the 1st of January 2019, the Biodiversity Conservation Act 2016 (BC Act) came into full effect and now replaces the outdated Wildlife Conservation Act 1950 and the Sandalwood Act 1929. 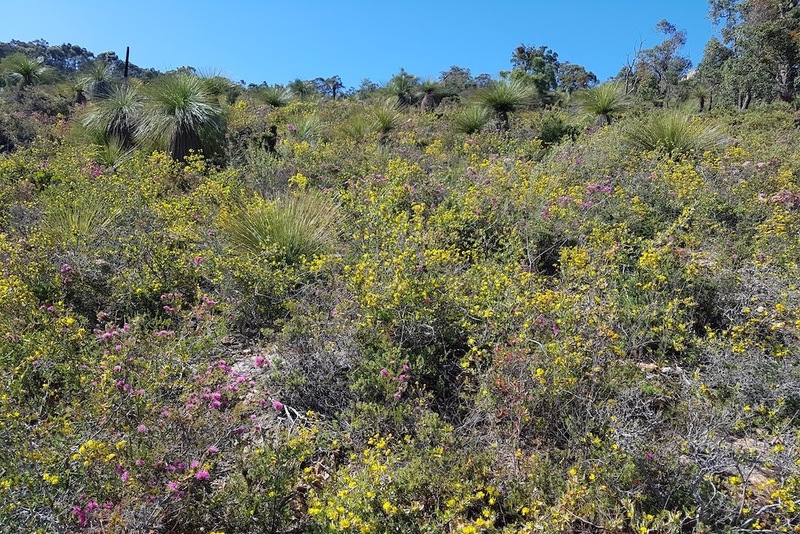 Several parts of the Act were proclaimed in 2016; however, the key components of the Act that relate to the majority of the work completed by Biologic (flora and fauna licensing, threatened and priority flora, fauna and ecological communities) required accompanying regulations. These regulations were published in the Government Gazette on the 11th of September 2018 (https://www.legislation.wa.gov.au/legislation/statutes.nsf/law_s50938.html). • Licensing: the Regulations create a range of new licences to authorise the taking, disturbing, possessing, dealing, importing and exporting of flora and fauna.